I had a facial mole that I absolutely hated. It wasn't that big - when I would complain about it, friends would ask me to point out where it even was. They would also ask why it bothered me so much, however if you don't like something about yourself, it doesn't matter how anyone else see it or feels about it, it has to go. I was incredibly nervous about getting my mole removed as, if anything went wrong with the removal, I could've been left with a scarred or damaged face. However I spent a few weeks googling the best mole removal spots in London, to ensure a safe treatment, and I discovered Cosmedics Skin Clinics. 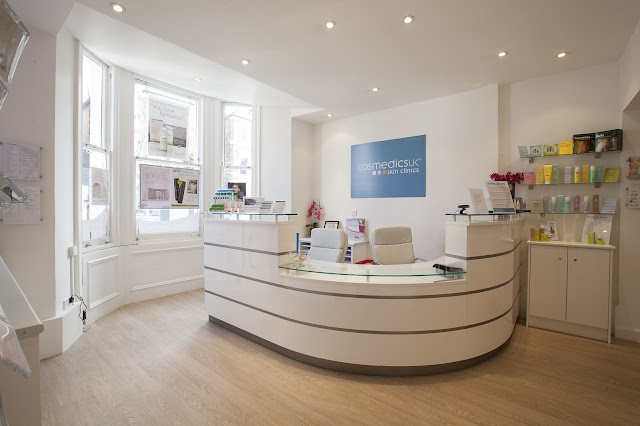 Cosmedics Skin Clinics are all over London (with two locations in Bristol) and they have great credentials and client reviews. So I booked a consultation and began my mole removal journey! Consultation day came and I met with Dr Ross Perry, the Medical Director of Cosmedics Skin Clinics. We discussed my concerns surrounding the mole and then Dr Perry examined it to see if removal was possible, it was! He then explained what the procedure would involve and how to best look after the area post-treatment. The treatment itself was very quick and relatively painless, the only pain I experienced came from the aesthetic injection and it only lasted a few seconds. The whole procedure took under 10 minutes and, once complete, I was free to leave and go about my regular business and the mole was sent off for examination. A few hours after the removal, the area felt a little sore, however this only latest a few hours. During the two weeks following the treatment, the area where the mole once lived began to heal and scab - I then had to do everything in my power not to pick it....I succeeded! After three weeks the scab disappeared and I was left mole-free and fabulous! I am so happy with the results! The removal and recovery was so quick and painless that I regret not doing it years ago. If you're thinking of getting a mole removed, I can't recommend the Cosmedics Skin Clinics team enough; they were amazing!